Product #140 | SKU Z-BNDS | 0.0 (no ratings yet) Thanks for your rating! Zacuto Z-Bands are an option for the Zacuto Z-Finder. The Z-Bands are elastic rubber bands to help hold the Z-finder in place, it is not a way to hold the Z-finder on the camera. The Z-Bands are just a security measure to hold the Z-finder in place in case of accidental bumping just like the lanyard. The mounting frame and the Z-Bands must be used together. 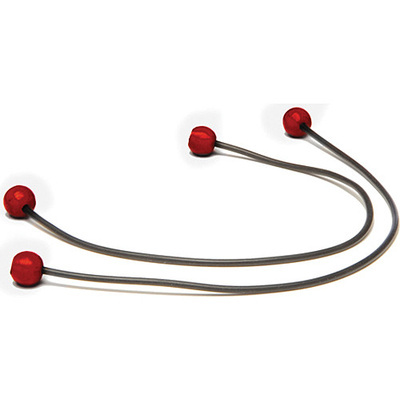 The Z-bands include 4 red aluminum balls and two elastic bands. Note: Z-Bands will not work with the Canon 7D, unless you have a quick release adapter beneath the camera which the bands can wrap around.